It wasn't quite the blue that I wanted, but the sham is well made and really looks good on my metal bed. 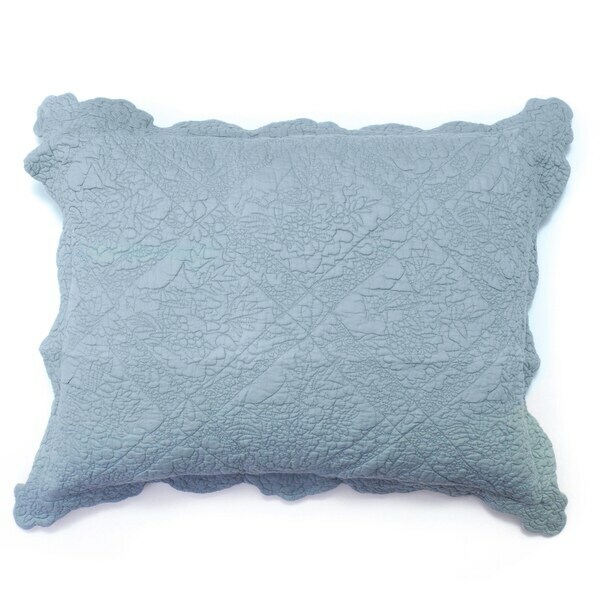 This light blue cotton sham has trapunto stitching, and scalloped edges to create a wonderfully vintage look. Insert not included. Standard sham is 20x26 inches, Euro sham is 26x26 inches King sham is 20x36 inches. Very nice fabric, quilting and color. Really like the border on the sham too. "I need to return this item and get s refund. Please tell me how to do this"